Thames Chase Community Forest is a public open space in a densely populated part of Greater London. The forest offers outstanding recreational facilities through their woodlands and meadows. Thames Chase is an inspirational example of landscape regeneration in a suburban environment. 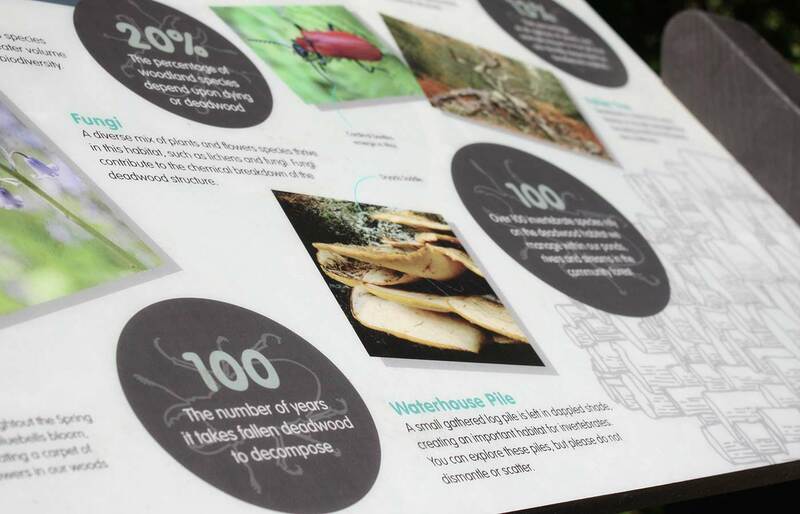 Our initial project for the Forestry Commission was to create a series of interpretation boards, featuring the projects undertaken to create and enhance Thames Chase. Provide visitors with information about the environment and facilities. Increase local awareness of the facilities. 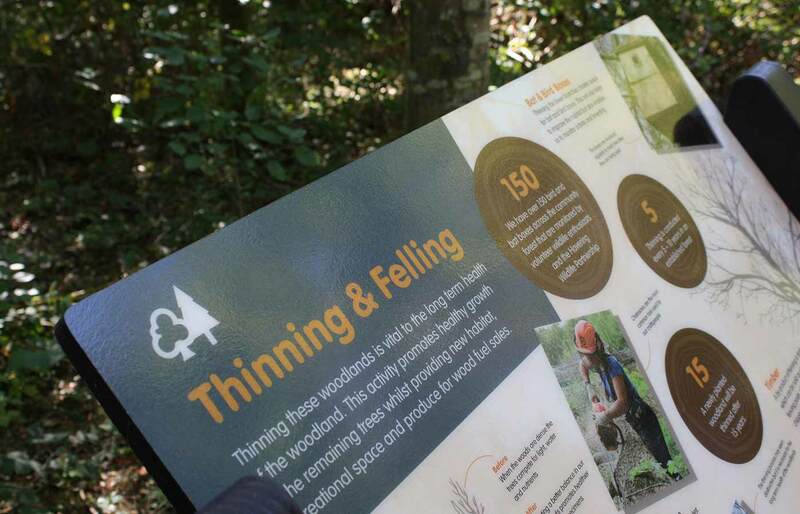 Provide visitors with information about the work carried out by the Forestry Commission at Thames Chase. Increase awareness and understanding of the work of the Forestry Commission. 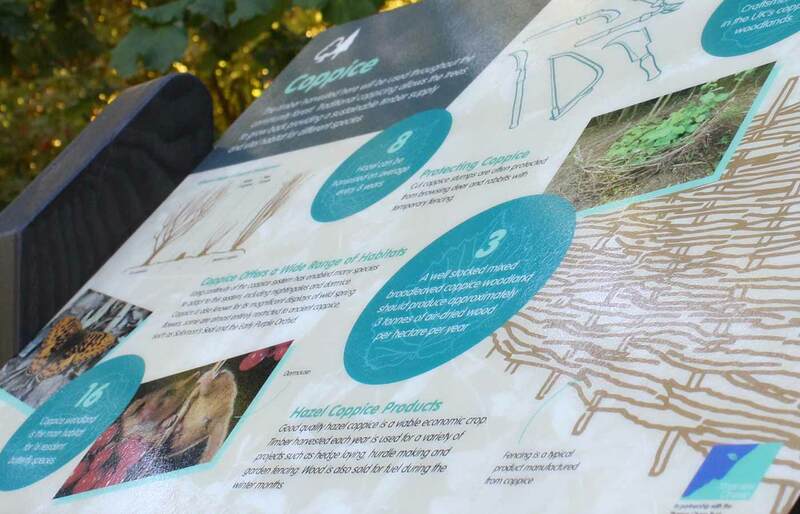 Create an informative graphic installation designed for an outdoor environment. 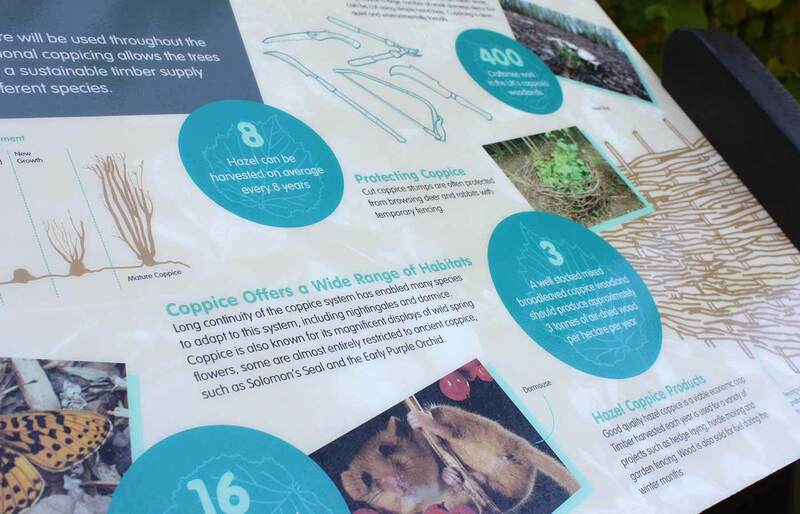 Design a series of interpretation boards to educate and inform visitors. 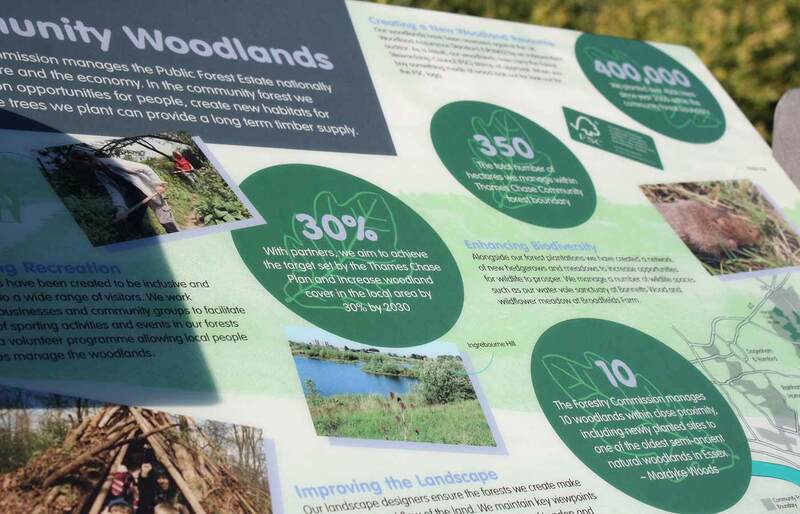 Create content using statistics, visuals and text to build understanding of the varied work of the Forestry Commission. Increased awareness of Thames Chase among local residents. Greater understanding of the work of the Forestry Commission.